DRLs are said to improve safety because they increase the visibility of the car to other traffic, especially on shadowy, tree-lined roads and at dawn or dusk. Daytime running lights are already compulsory in countries such as Sweden, and the maker claims they increase safety as other drivers are more likely to see you. DRLs have been mandatory in Scandinavia since 1977 and will be compulsory in Europe from 2011. * New designed LED strip lights have LEDs shine on the edge instead of facing up, therefore no matter how you flip the strip, the LED lights are always shining towards the front. * This strip ultra thin. So thin almost invisible when not in use. 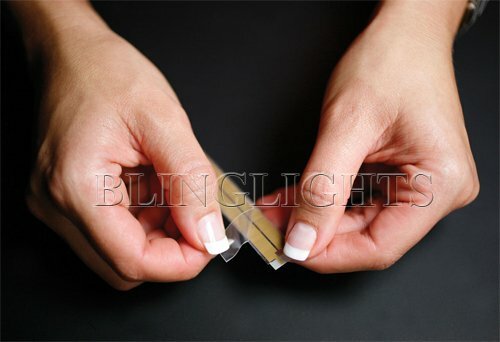 * The LED Flex Light strips are self-adhesive with 30pcs BlingLights High Output SMD LEDs per strip and waterproof as well. * Inspired by the new Mercedes AMG LED Day Time Running Lamp strips. The installation is simple. 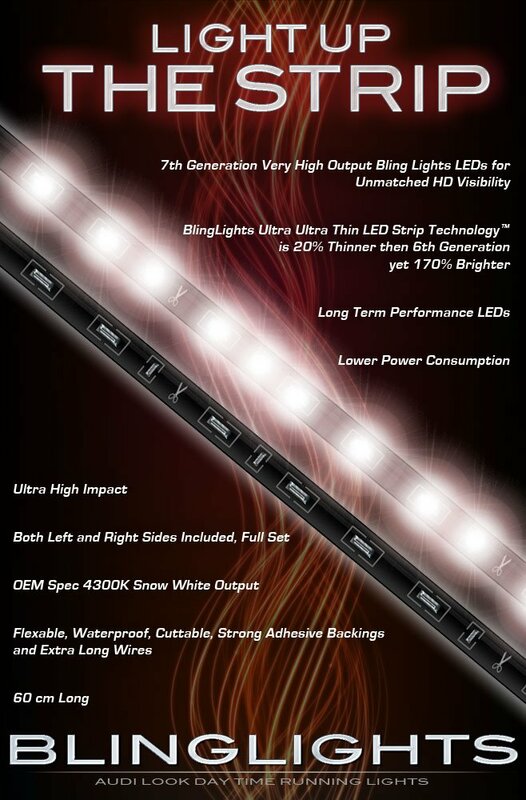 Each LED strip light comes with wires, simply connect the positive (red) and negative (black) to any 12V power source such as parking lights, corner lights, fog lights or headlight low beams, etc. Then use its self-adhesive 3M tape on the back to attach on any smooth surface and that's it. Trim off any excess. Brushed cotton twill, six panel, sandwich bill, relaxed crown, self-fabric strap with metal closure and tuck-in design. Sport the name and show your pride. Valued at $24.95 Included With Your Order Free While Supplies Last. Accepted payment methods; credit or debit cards, googlecheckout, bank or cashiers check and money orders. No personal checks and all payments in US dollar currency only. Click the button below to add the 2010 2011 2012 Chevrolet Chevy Equinox LED DRL Day Time Running Light Strips for Head Lamps Lights to your wish list.